Prepare flax egg by combining 1 tablespoon of ground flax with 3 tablespoons warm water. Let sit for at least 5 minutes to set. In a large mixing bowl combine peanut butter, flax egg, coconut sugar, vanilla, baking soda, salt, and chocolate chips. Mix well. Roll cookie dough into 1 1/2 inch balls and place on a silpat lined cookie sheet, 2 inches apart. Lightly press cookie dough to flatten. Bake cookies for 10-12 minutes. Remove from oven, transfer to a wire rack and let cool for at least 7-10 minutes before enjoying! Oh my goodness these look delicious! I’m going to try to make them for my GF toddler this week. Thank you for sharing! So simple! I have never made peanut butter cookies but now I am seriously tempted…. 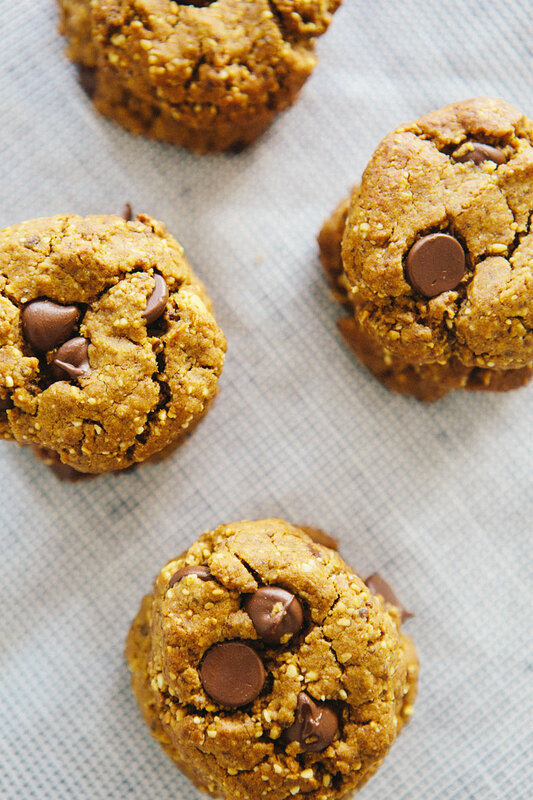 These look so amazing – I’m obsessed with anything peanut butter! Would it be too crazy to add coconut flakes in here?! yes — i am always on the lookout for good gluten free cookie recipes! As soon as we are home again, I am making these right away! Summertime snack my kids (&I) will love! Thank you. I totally consider these breakfast, lunch and dinner (#sorrynotsorry) too!! Great photos (per usual) and nice to see you again in that outfit post below 🙂 Hope your smiles (you and Lou) are returning and life is sort of feeling a bit better. BIG HUG. These cookies look delicious! 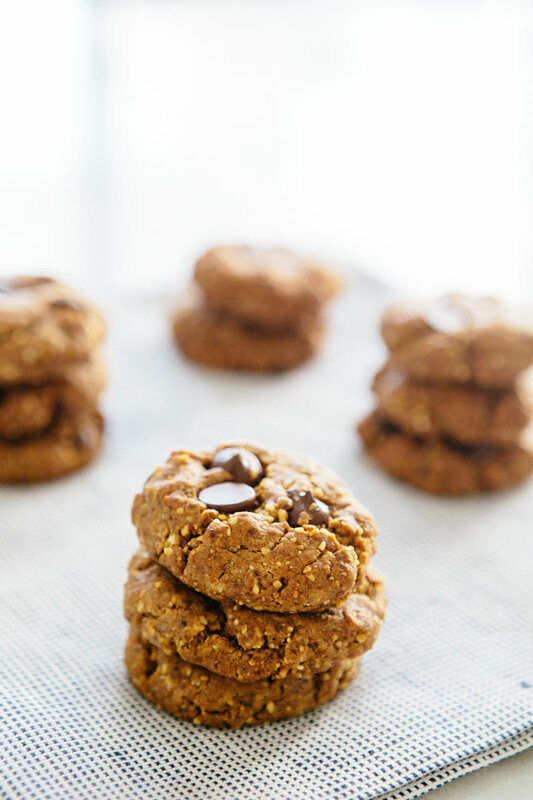 I’ve been loving no-heat cookie recipes lately (it’s too hot turn on the oven or the stove!) and can’t wait to try to make these work without heat! Looks SOOO good. Must try them! These look delish can’t wait to try! Do you think you can sub 1 egg if not vegan? 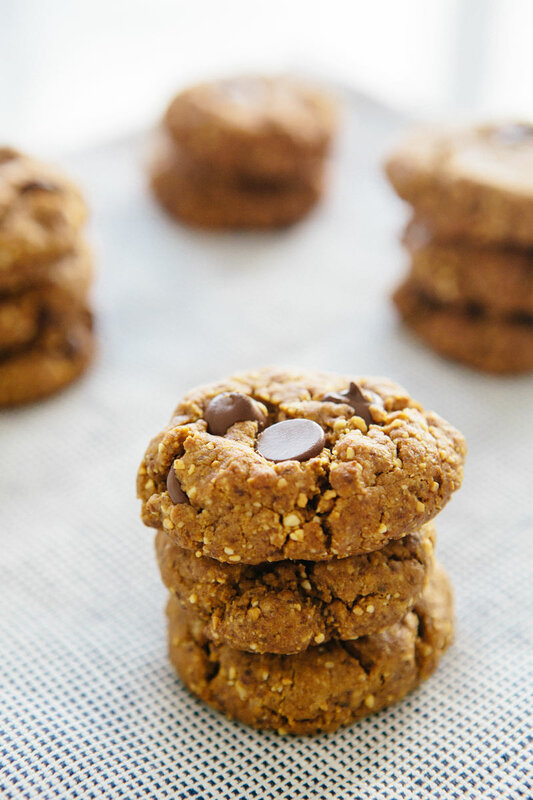 I’ve been looking for a lower sugar PB cookie recipe so thank you for posting! Your photos, recipes, and writing are all so beautifully inspiring! 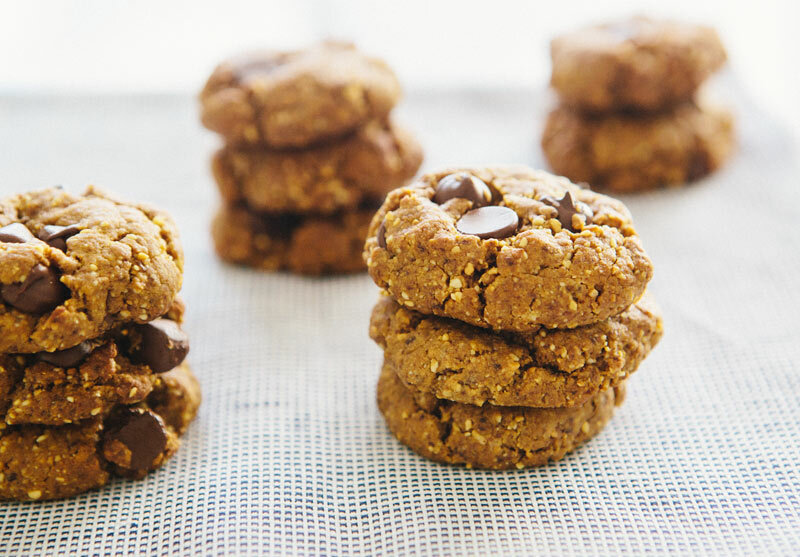 Peanut butter makes the best flourless cookies. These look great! I have made these cookies a few times and they always turn out awesome. But today I changed it up a bit and instead of using peanut butter, I used half a cup of Buckwheat Flour and half a cup of Coconut Butter. They were awesome!!! I will continue to try different versions of this recipe (just subbing out PB for other combos). Thanks for posting this recipe! !